Chardonel, Gruner Veltliner, Traminette, and Vidal Blanc. I tried the Winslow Riesling Reserve at the EWE 2018 convention. This was a flowery, aromatic semi-sweet white wine that had lovely notes of apricots, peaches, and lemons, limes, and grapefruit with a hint of petrol. A lovely Riesling from a small, farm producer. Good balance. Nice layers. Well made. Very lovely! Great job Greg! Looking for try more! 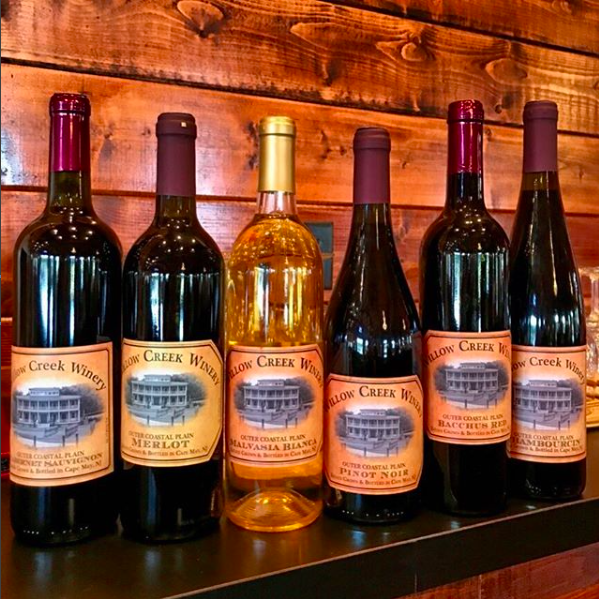 Conneaut Cellars Winery was founded by Dr. Alan Wolf in 1982. Dr. Wolf’s winemaking education and experience in Germany informed the winery's direction for years. In 1996, Joal Wolf, son of Dr. Alan Wolf and his wife Phyllis, became the proprietor of Conneaut Cellars Winery. As a young boy, Joal helped his father make wine during the 1960's. After graduating from Penn State University, Joal served for more than 27 years as a distinguished officer for our military forces. His service took him to Europe for four years, and while in Germany, Joal visited wineries and represented Conneaut Cellars during trade shows. Joal returned to the winery in 1988 and earned his Master’s Degree in Business Administration from Penn State University. After graduate school, Joal worked full-time at the winery as the wine master and assisted his father in all facets of the business. In 1991, Joal became Wine Master. Joal’s attention to quality shows in every glass of Conneaut Cellars Wine. Conneaut Cellars Hazel Park Red was sweet, light red tasting wine with lots of Concord grape aroma. The wine was named for the Hazel Park area on the East Side of Conneaut Lake. I do not generally like sweet reds, but I made an exception here, as the flavor and the wine were balanced by acidity so that the flavors were in fact complimentary and the acidity kept the wine honest. I remain a steadfast dry drinker, but this made me smile. Willow Creek Winery is a winery in West Cape May in Cape May County, New Jersey. Formerly a produce farm, the vineyard was first planted in 2005, and opened to the public in 2012. Willow Creek has 40 acres of grapes under cultivation, and produces 6,000 cases of wine per year. The winery is named for a large willow tree near the owner's residence, and the Pond Creek, a stream that borders the farm. Willow Creek is the largest of the wineries in the Cape May region. Barbara Bray Wilde is the owner of Willow Creek Winery. Willow Creek is the only winery in New Jersey that produces wine from Malvasia bianca, which is a white vinifera grape indigenous to the northwest coast of Italy. Kevin Celli is the Director, farm manager and viticulturalist. He joined Willow Creek in 2012, after having been at nearby Natali Vineyards. The Willow Creek Pinot Noir Outer Coastal Plain was a lovely estate-grown wine. The wine was fermented on oak staves, then oak-aged for 24 months. The last barrels from the harvest were blended into stainless steel with oak staves then aged for an additional 6 months. Double filtered during the bottling process. The wine led off with hints of cherry and whiffs of strawberry, and spice. A lovely middle, and balancing acids at the end let the flavor linger a nice long time. This was my first taste of Willow Creek Winery, and I must say it was very impressive. 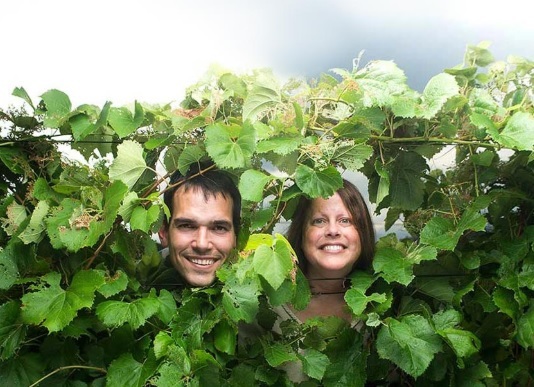 It's been almost four years since David and Susan Drillock took over Cooper Vineyards in Louisa, Virginia, and rechristened it Fifty-Third Winery & Vineyard. They took out unproductive/diseased Albarino, Merlot, Cabernet Franc and Norton vines and replaced them with Albarino, Chamborcin, Chardonel, Petit Verdot and Viognier. They planted approximately 8,000 vines. Basically they doubled the existing number of vines. They added fencing around the vineyard to keep the grape loving deer out, and changed the spacing inside the vineyard to tighter plantings. This is all part of their five year plan to remake the old winery. Graham Bell is the winemaker at Fifty-Third. He is a native of Swarthmore, PA. Graham’s winemaking experience was with some of the earliest wineries established in Virginia including Montdomaine and Horton Cellars. In 1991, he was full time assistant winemaker at Montdomaine, in 1996 winemaker at Horton, 2001 winemaker at Lake Anna Winery. He joined Cooper Vineyards in 2002. Graham's incredibly capable and talented Assistant Winemaker is Chelsey Blevins. Sacramento Tenorio-Lara is the Director of Vineyard Operations. Sacramento joined Fifty-Third in March of 2017, and arrived with more than 20 years of vineyard experience in the California and Virginia Wine industry. According to Wikipedia, "Chardonel is a late ripening white wine hybrid grape which can produce a high quality wine with varietal character. It is a result of a cross made by the New York State Agricultural Experiment Station of the popular French American hybrid Seyval and the classic vitis vinifera Chardonnay. It is distinguished by its superior wine quality combined with high productivity and cold hardiness superior to its acclaimed parent Chardonnay. The vine is vigorous and productive, producing green grapes with large clusters." Originally I hated many of the first Chardonels that were made. They were big clunky messes. But this Fifty-Third Chardonel 2016 was an eye opener. It had lovely acidity and mouth feel. Nice flavors of Granny Smith apple and tropical fruits, and lovely bright citrus acidity to boot. Easily one of the nicest Chardonels I have ever tasted, and certainly a wine that should be held up to cool climate winemaker and consumers alike. A lovely, balanced and complex white, made by real professionals. A lovely, lovely surprise! Jan Zell Wines are located in Port London, Pennsylvania. Jan Zell Wines is owned and operated by Arnie and Laura Jansen. The winery name, Jan Zell Wines, originated from combining Arnie's last name (Jansen) and Laura's maiden name (Zeller). Catching the wine bug themselves, Arnie and Laura decided to open Franklin County's newest winery in May of 2014 with their production facility located in Fort Loudon, PA. They opened their first tasting room at 251 Grant Street, Chambersburg, PA on September 27th, 2015. Jan Zell offers wines from dry to sweet and also has hard cider. I tried the Jan Zell Riesling at the EWE 2018. It was a lovely semi-sweet Riesling, that started off with a lot of green apple, and tropical fruits, and had a lovely mouth feel. The winery features musical performances, paint & sips, and numerous other events throughout the year. They also do events with other partner local businesses. Jan Zell Riesling was a lovely wine well worth trying. I love Tim Moore and his lovely wife and their wines at Inspire Moore Wines. But lately he's been issuing small production, high-end boutique offerings under the Timothy Moore Wines label. I've been lucky enough to taste a few and they are amazing. The most recent of them has been the Timothy Moore Wines Blaufrankisch Reserve from the Shalestone Bed vineyard. Now, I am always a sucker for single vineyard varietal wines. I'm a wine geek, after all. But this wine is soooo impressive. It immediately vaults to one of the best Blaufrankisch in the region. The attack starts with ripe cherry, raspberry, and plum. Notes of vanilla and spice are redolent. And the finish is smooth, with a lovely lingering acidity that keeps the wine in the mouth for a long long time. This is an wonderful wine. And I am very excited for this small production line of fine wines from a really good producer. Great job Tim and Diane!!!! OK, I will admit, I am now a member of the Kelley James Russell cult. Kelly James Russell is Crimson. This is immutable truth. Though hometown Finger Lakes born and bred, he is a celebrated grad from that famed institution in Cambridge, Massachusetts. Thank God for a less than thrilling experience at the Lincoln Center Jazz Center, and a fortuitous visit to Fox Run Vineyards, lest this talented young winemaker might have mistakenly gone in another direction. Kelby James Russell Wines started out as a conversation with Dave Whiting, founder and owner of Red Newt Cellars. Whiting suggested that Russell might need a separate wine project, a creative outlet so to speak. Something he could call his own. Meanwhile the wines at Red New have continued to improve and shine under Russell's reign. Last July I was up in the Finger Lakes and determined to investigate the cult status these wines were achieving. That proved problematic, as the wines are made in small quantities and because of their treasured status, sell out quickly. The first bottles were released in 2015. There was a Riesling 2013 bottled July 2014 and released in 2015; a Dry Rose (of Cabernet Franc) 2013; and a Cabernet Franc 2013 bottled in July, 2014 and released in 2015. All were eagerly anticipated and performed quite well. When I finally found a the single bottle I would enjoy, it was at Red Newt Cellars. The Kelby James Russell Dry Rose 2016 made from 100% Cabernet Franc. The grapes were grown as the Nutt Road Vineyard of Anthony Road Wine Company, on the northwest side of Seneca Lake. The wine got an 88 in Wine Enthusiast magazine. Anna Lee Ijima wrote, "Electric-pink color and piercing acidity add to the unique personality of this bold angular Cabernet Franc rosé. Tart sour-cherry and raspberry flavors are pristine and primary, but nuanced with lingering hints of bramble and savory herb. This is a refreshingly substantive style of rosé to enjoy with even heartier fare well into the fall months." I was completely surprised by the mouthfeel and flavor of this wine. A luscious wine, with lots of tropical fruit, strawberries, cherries, lime, and grapefruit. Vibrant and impressive, flavorful and refreshing. Loved it. I will be hunting down more of these wines. I guess you can say I've joined a cult. Great job Kelby!!!! Glen Manor is among my favorite wineries. I think they are among the best quality wine producers on the east coast. It was Washington Post wine columnist Dave McIntyre who first introduced me to them many years ago. They are among the favorite wines of anyone who covers Virginia or east coast wineries. I got an opportunity to taste these wines middle of last year. The first thing you need to know about the winemaker Jeff White - he is a farmer. He's as unpretentious a winemaker as you'll ever meet. OK, now to the beginning. Anna Rae married Alpheus Lee White. They inherited a portion of the family farm, Alpheus and Anna Rae had three sons, the youngest of whom developed an interest in and an appreciation for fine wines. Alpheus White along with his three sons own the farm winery business together. It is managed and operated by the youngest brother, Jeff Raymond White, whose interest and appreciation for wines blossomed while working for a nearby Virginia winery. He established the original vineyards in 1995 and envisioned what is today Glen Manor Vineyards. Over time, additional vineyard plantings have been added, slowly increasing the acres under vine. Jeff went into defense contracting before going into farming. He eventually worked for the lehgendary Tony Wolf of W Virginia Tech. And then for almost a decade selling his wine grapes to Jim Law of Linden Vineyards. Today, the estate comprises 212 acres of pastures, forests, and currently 17 acres of vineyards. Their farm is recognized by the Commonwealth of Virginia as a Century Farm for being owned and farmed by five generations of their family for more than 100 years. Today they grow Cabernet Sauvignon, Merlot, Cabernet Franc, Petit Verdot, Nebbiolo, Sauvignon Blanc, and Petite Manseng. Glen Manor Vin Rouge 2014 is a blended table wine. That's kinda like saying Casablanca is a black-and-white date movie. It is made up of the grapes that were not selected for some of the line's more illustrious wines. Don't worry, you won't be disappointed. The blend is 62% Cabernet Sauvignon, 16% Cabernet Franc, 12% Merlot, and 10% Petit Verdot. They made 450 cases. According to the winemaker, "Following an extremely cold winter, spring was wet and cool and the first half of summer was wet and hot. In August, the rains stopped and we enjoyed a relatively dry and warm harvest with no tropical storms moving through our area. Harvest began in late September and lasted through the middle of October. The grapes were hand-harvested and chilled overnight. A triple sorting, (at picking in the vineyard, and on the crush pad, pre- and post-destemming) was performed and the berries were destemmed without crushing. The whole berries filled small one-ton fermenters and then cold soaked for 4 days. Moved into the fermentation room, the bins were warmed to 60ºF and inoculated with yeast. Fermentation temperatures reached into the mid-80ºs and lasted about 7 to 10 days with two cap punch downs each day. Malolactic fermentation began in the bins after primary fermentation was complete. After additional maceration time ranging two to three weeks, the wine was pressed off, allowed to settle overnight and then racked into new and older French oak barrels where malolactic fermentation completed. The wines rested for five months before this blend was assembled during the summer of 2015. This wine was bottled unfiltered and unfined in May 2016." Suffice to say, the wine is exceptional. What is the opening wine for Glen Manor, let's be honest, it like the high end of the line at a lot of other places. Jeff is a meticulous winemaker, and his wines show it. There's lots of fruit up front. Dark raspberry, ripe cherry, red cassis, and plum. Lively, with notes of cedar and spice, and a nice acidity which keeps this wine alive in the mouth for some time. Absolutely lovely. St. Ruth was the next wine. Apparently, St. Ruth (not a grape variety) is named for a family member. Stephen Clifton Lawson and his wife, Annie Susan Beaty, purchased the land in 1901. Their only child was Ruth Ardelia Lawson. Glen Manor St. Ruth 2014 was made from 56% Merlot, 35% Cabernet Franc, 9% Petit Verdot. "Following an extremely cold winter, spring was wet and cool and the first half of summer was wet and hot. In August, the rains stopped and we enjoyed a relatively dry and warm harvest with no tropical storms moving through our area. Harvest began in late September and lasted through the middle of October," according to the winemaker's notes. "The grapes were hand-harvested and chilled overnight. A triple sorting, (at picking in the vineyard, and on the crush pad, pre- and post-destemming) was performed and the berries were destemmed without crushing. The whole berries filled small one-ton fermenters and then cold soaked 4 days. Moved into the fermentation room, the bins were warmed to 60ºF and inoculated with yeast. Fermentation temperatures reached into the mid-80ºs and lasted about 7-10 days with 2 cap punch downs each day. ML fermentation began in the bins after primary fermentation was complete. After additional maceration time of from 2-3 weeks, the wine was pressed off, allowed to settle overnight and then racked into new and older French oak barrels where ML fermentation completed. The wines rested for five months before this blend was assembled during the summer of 2015. This wine was bottled unfiltered and unfined in July 2016." They made 280 cases. I can only imagine Auntie Ruth was a person of some stature - with some brain behind her flinty eye, and sophisticated manor, because this wine is that. Its sophisticated, complex, and has a solid backbone. Some nice dark fruit here, dark cherry, dark raspberry, cassis and hints of cocoa and spice. Lauers of dark fruit swirl with hints of cranberry and a hint of earthiness. A lovely, supple finish. Massively impressive. Now, it's hard to distance oneself from the previous two wines, since they were sooooo good. But the Glen Manor Hodder Hill 2014 is not just a step above. This wine is sooo impressive. Hodder Hill is made from sorted, hand selected grapes that go into this blend. Hodder Hill is the apex of what the terroir of Glen Manor stands for. Shines form. The vineyards are on a western slope of the northern Blue Ridge Mountains, between 1000 and 1400 feet above sea level. These vines grow deep, in steep and well drained rocky soils. The vines are cane pruned and trained to both the Open Lyre and Double Guyot system. Hodder Hill is named for family as well. This time an uncle - Raymond Hodder Rudacille, the second generation of their family to farm and live on the land. "Following an extremely cold winter, spring was wet and cool and the first half of summer was wet and hot. In August, the rains stopped and we enjoyed a relatively dry and warm harvest with no tropical storms moving through our area. Harvest began in late September and lasted through the middle of October," read the winemaker;s notes. "Grapes were hand harvested and chilled overnight. A triple sorting, (in the vineyard, and then on the crush pad, pre- and post-destemming) was performed and the berries were destemmed without crushing. The whole berries filled small one-ton fermenters and were cold soaked 4 days. Moved into the fermentation room, the bins were warmed to 60ºF and inoculated with yeast. Fermentation temperatures reached into the mid-80ºs and lasted about 7-10 days with 2 cap punch downs each day. ML fermentation began in the bins after primary fermentation was complete. After 2-3 weeks of additional maceration time including daily tastings, the wine was pressed off, allowed to settle overnight and then racked into French oak barrels where ML fermentation completed. The wines rested for five months before this blend was assembled during the summer of 2015. This wine was bottled unfiltered and unfined in July 2016." 525 cases were made. This is a big, strong, powerful wine driven by a classic blend of 69% Cabernet Sauvignon, 16% Merlot, 15% Petit Verdot. Dark cherry, bark raspberry, blackberry, dark cassis, and hints of plum jam all come through, Swirls of vanilla, dark cocoa, and spice easily take over the whole second stage of tasting, before the tannins and the fruit settle in for a good long time. Complexity and layering of favors make this an intense experience. These wines are incredible. And if you listen to him, Jeff loves his whites, as well he should. But these reds were special. And show what absolute mastery of, and incredible understanding of, place and time, when making grapes into art, that Jeff no poser. More than 20 years of knowing the cold spots, the places that need help, the places that need slowing down. Knowing that to mix one corner of a vineyard block with another, to know that side needs to be picked sooner than this side of the block. To know which rows need more thinning, and which ones less. It takes years of understanding, and working in your vineyard to wield these flavors like an artist. There is no pretension with Jeff. I would liken his work to a master gardener, but his ability to turn his grapes into something ethereal transcends that compliment. No, this is about someone who understands his small corner of the world, and can make something magical arise from it. You need to taste it to understand. I ran into this wine while at Eastern Wineries Exposition last year. But two books and a harvest intervened. However I was absolutely so impressed by these wines, I just had to write about them. The Illinois Sparkling Company (ISC) is dedicated to perfecting bubbly wine. ISC wines are created on a lovely hillside overlooking the Illinois River. Founders Mark and Teri Wenzel founded ISC in 2011. While developing wines for August Hill Winery, Mark realized that the grapes in their vineyard were high in acid and low in tannins, similar to those in French Champagne. In 2007, Mark immersed himself in learning the Traditional Champagne Method from the masters. Though ISC’s grapes are not the same varieties used in Champagne, the winemaking method is. This combination creates a truly unique sparkling wine. Today, they make about seven different sparkling wines. The first wine I tried was the ISC Brut (NV). This pale gold sparkling wine is made from a unique blend of Illinois-grown St. Pepin, Frontenac Gris, and LaCrosse. This is a lovely classic dry sparkling wine. It starts off nice, with a lovely wisp of fresh bred, and then gives way to bright, fresh zippy flavors of orange, peach, pear and apple. And the stone fruits, fresh ripe pear and green apple come though. A lovely creaminess in the finish. A terrific, delicious wine. ISC Brut Ombre Rose was an absolutely lovely surprise. Firstly, this pale salmon-pink sparkling wine is made from 100% Illinois-grown Chambourcin! The lively, zippy wine starts off with a lovely salad of fresh strawberries and bright raspberries. This gives was to brisk acidity and a refreshing finish. A lovely, lovely rose sparkling! Not only do I have to find out how to get my hands on more of this stuff, but you should to! I really really liked these. Great job Marc and Teri! Not everyone likes Chambourcin. But then again not everyone likes Beethoven. Doesn't make it bad. In fact, Chambourcin makes a lovely, lovely dry red wine. Like so many other hybrids, many wine makers from generations ago, made sweet reds with Chambourcin, and so Chambourcin has gotten a bad rap. That said, it makes for great port! Today, a new generation of winemakers have resurrected Chambourcin. There are a number of really good Chambourcins on the market being made by small craft wineries. "Chambourcin is a French-American interspecific hybrid grape variety used for making wine. Its parentage is uncertain," reports Wikipedia. "The hybrid was produced by Joannes Seyve who often used Seibel hybrids produced in the 1860s. The grape has only been available since 1963; it has a good resistance to fungal disease, and is one of the parents of the new disease resistant variety, Regent, which is increasing in popularity among German grape growers. Chambourcin is considered a very productive grape with crop yields reported ranging from 11.1 tons per hectare to 17.3 tons per hectare in a study performed by Ohio State University." "She has grown up around wine, grape growing and wine making since she was a child in Ontario, Canada. She remembers her mother making homemade wine and when she was young she worked in the field tending grapes, gaining an appreciation for the first half of the process of making wine," wrote the St. Marys County Times. "When she went on to college she studied wine-making, viticulture and the sale and marketing of the product." More importantly, she has worked at six different wineries in North America and has even worked at a large winery in New Zealand before settling in at Port of Leonardtown. Without question, she is among my favorite new winemakers on the eastcoast. That's why I love this Port of Leonardtown Chambourcin Reserve 2014. This Maryland Chambourcin was harvested with an acid of 5.84 g/L and a pH of 3.69, and was aged for 18 months in French and American Oak. This is a big, solid, dry red wine. It has a lovely dark garnet color and intense aromas of raspberry, blackberry, and wonderful spices. The attack is big and jammy, that showcases lots of dark berries, and the oak has lent it a gorgeous middle palate (mocha, cocoa, and cassis) and a terrific spicy ending. Lovely tannins and nice acidity make the flavor long lasting. Great job, Lauren, and to ALL the folks at Port of Leonardtown Winery! Gray Ghost is a family owned winery in Amissville, VA. The winery is owned by Al and Cheryl Kellert. According to the winery, "A chemistry major in college, Al was first introduced to winemaking by a college professor who assisted him in his first fermentation experiment in 1969. Not long after, he met and married Cheryl, and a career transfer landed them in Virginia amidst the beginning of the burgeoning wine industry in the state." The Kellerts moved in 1986 along with each of the meticulously transplanted 160 vines from their Northern Virginia neighborhood. The plantings continued for a number of years. Gray Ghost currently cultivates more than 8,000 vines on 13 acres with such varieties as Chardonnay, Cabernet Sauvignon, Cabernet Franc, Merlot, Riesling, Vidal Blanc and Seyval Blanc. Carrie Dykes wrote in Wine Enthusiast of the 2015 vintage, "This wine has upfront aromas of black cherries, dried herbs and baking spices. On the palate the spices take over, showing charred oak, bramble and vanilla. A full body and drying tannins crave an acidic lift. The finish is long and spicy." The wine has garnered more medals than any of their other offerings. The last three vinatages have garnered approximately three dozen medals, including seven gold medals, one platinum, and other accolades. Gray Ghost Cabernet Sauvignon Reserve 2014 is an unfiltered Bordeaux-styled Cabernet Sauvignon blended with touches of Merlot and Cabernet Franc. The wine was aged for twenty months in French and American oak before being bottled. The featured a big, cherry, currant and blackberry attack, with a lovely does of vanilla and dark black pepper at the finish. Velvet, smooth, and impressive. Enjoyed this older vintage very much! I love Duncan and Robin Ross. Really good people. They are estate wine growers and are concerned with producing quality fine wines. Not only is Arrowhead Springs Winery among the leading quality wine producers in the Niagara Escarpment, it's one of the better quality producers throughout the state. They produce wines from their estate Pinot Noir, Merlot, Cabernet Sauvignon, Cabernet Franc, Syrah, Chardonnay, Riesling and Vidal Blanc, as well as grapes purchased from local vineyards. Newer plantings include more Pinot Noir and Tempranillo. And they do it all using sustainable farming methods. And they are leaders in the industry. Recently, I pulled out a pair of wines from them over a month's time. And it was nothing less than special. The first I pulled was the Arrowhead Springs Estate Merlot 2014. This Niagara Escarpment Merlot is grown on their western slope where truly the vines flourish during the growing season. This estate wine is aged in oak for 24 months. Big notes of red raspberry, ripe cherry, and cassis comes across with a lovely dollop of vanilla and spice. A real winner. Super impressive. Drinking Single Malt Scotch with Duncan in Rochester. I have written here before I am loathe to try eastern Cabernet Sauvignon because I am always worried it will be a big dark red bell pepper. But Arrowhead Springs Estate Cabernet Sauvignon 2014 was an impressive surprise. The attack was all dark cherry, dark raspberry, dark cassis, with a beautiful smooth middle, and impressive ending that develops into a nice dry finish. I had it with a New York strip steak, and it was so impressive!!! I LOVE Arrowhead Springs! These wines prove that the Escarpment is a place where great wines are not only possible, but being made right now. Great job Duncan and Robin! Hopkins Vineyard, in Litchfield, Connecticut, has long been one of my favorite wineries. They make a wide swath of wines, but their estate grown quality dry wines have been really impressive. I bought several bottles of this vintage of Can Franc and drank a bunch of them. But I saved a bottle to taste with some aging on it. Just the other night, I decided to have a boys night with my sons. We cooked some steaks, a salad, and roasted potatoes. 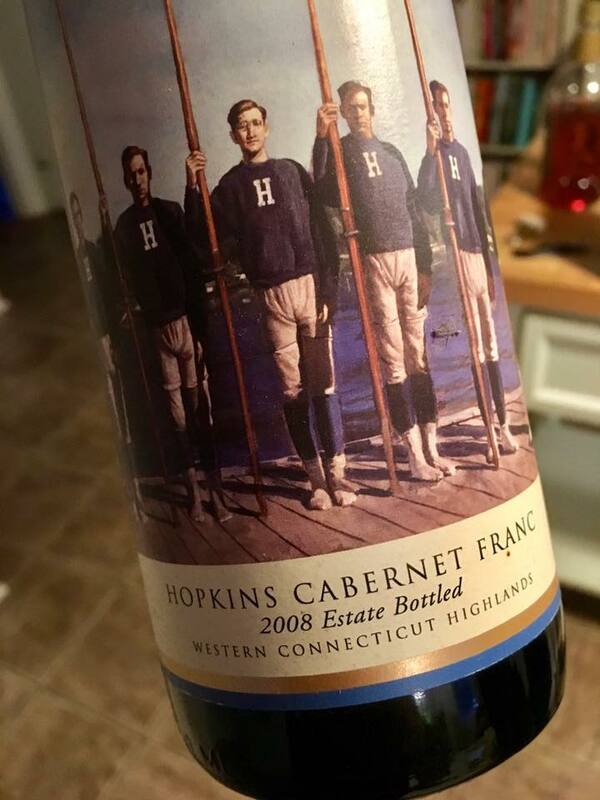 Now, I thought, would be a great time to break out an old bottle to try with it....and low and behold, I saw this Hopkins Vineyard offering. Now, I know what you must be thinking - Cabernet Franc from Connecticut? But don't laugh. They share many of the same weather patterns as Long Island. But obviously, the Litchfield Hills are nowhere near the Sound. Despite all this, the winery has been making lush, deep estate Cabernet Francs for many years. The grapes are estate grown in the Western Connecticut Highlands AVA which was established in 1988. According to Wikipedia, "The Western Connecticut Highlands AVA is an American Viticultural Area that includes all of Litchfield and parts of Fairfield, New Haven, and Hartford counties in Connecticut. The Connecticut Highlands are far enough away from Long Island Sound that there is little of the moderating effect on climate that large bodies of water produce. The region is relatively cool, with a short growing season between mid-May and mid-September. The soil in the area is glacial schist and gneiss. Local vintners have had the most success with cool climate Vitis vinifera and French hybrid grape varieties. The region is located in hardiness zones 5b and 6a." Hopkins Cabernet Franc Estate 2008 is a complex dry red. The estate fruit is punch-cap fermented. And the resulting wine is aged in American oak barrels for 23 months. Dark black berry, dark raspberry, cassis, and ripe cherry all come through. A lovely middle gave way to a layered creaminess, with spices of mocha, cocoa, and some black pepper at the finish. There was no question that the age had softened the wine. The flavors were slightly more mingled. The competing flavors had begun to breakdown and meld in ways as to make the wine more unified. The fruit was still solid, and there was enough acidity to keep it lively and lasting long on the tongue. I went beautifully with the meal. A superb Cabernet Franc. And a great evening. We enjoyed it thoroughly. My favorite Marquettes have all been from Vermont, and the Upper Hudson Valley. And I am looking to taste more. But the results have been very very impressive. But this one was from New Hampshire. Poocham Hill Winery began in 1978 when Mame ODette and Steve Robbins found a vineyard in Tilton, New Hampshire that had Baco Noir and Marechal Foch wine grapes for sale. They made 20 gallons of wine. Mame had a goal of owning a farm. In 1998, after looking for years, she found a piece of property - Poocham Hill Farm started producing organic vegetables for farmers markets and the local co-ops. Steve planted his first vines that year. Today they grow Marechal Foch, Frontenac, Sevyal Blanc, LaCrosse, and St Croix, Noiret, Chandonel, Chelois, Traminette, Marquette, and Frontenac Gris. In 2004 Mame and Steve built out their winery in the 1830’s vintage barn. Poocham Hill farm started its transformation into a full blown winery. In 2016, with more than 1,600 vines producing 9 varietals, Poocham Hill Winery started producing quality wines. Poocham Hill Winery Marquette 2015 was aged in French oak, and had a big body and deep red color, with notes of black raspberry and cassis. The finish was a big mouth full of dark ripe fruit, spice, and black pepper. White toast and vanilla slowly melted into a lovely spicy finish and fresh fruit. I had never heard of Poocham Hill Winery before tasting this. But I have to tell you, it was very, very impressive! Chalk up another terrific Marquette for the Northeast! OK, first off, I hate Landot Noir. Always have. Second, I have never been to Paradise Hills, though I have tasted some of their other wines. So, again, while I was at Wineries Unlimited in 2018, I tasted a wonderful Connecticut wine, Paradise HIlls Landot Noir from Paradise Hills Vineyard & Winery, located at 15 Windswept Hill Road, in Wallingford, CT. They are on the Washington Trail, on which the General marched scrounging up recruits and supplies during the Revolutionary War. The Paradise Hills Landon Noir is 100% Connecticut grown fruit. It has an opaque deep, dark red color, with aromas of dark cherry, plums, and, mocha. Lovely flavors blend into a deep, dark finish of tannins and spice. And impressive, impressive wine. It might even make be believe in Landot Noir - and you too! Richard, and folks, another winner! Congrats! Stone Tower Winery Hogback Mountain 2013 was an impressive wine from a 306-acre family farm in Loudon County, Virginia. They are a quality producer. Its been the family farm for forty years, on Hogback Mountain, just south of Leesburg, VA. It is owned by Mike and Kristi Huber. They currently have 75 acres of vineyards planted, with plans to expand, They currently have large plantings of Chardonnay, Viognier, Sauvignon Blanc, Cabernet Sauvignon, Merlot, Cabernet Franc, and Petit Verdot, and small plantings of Marsanne, Rousanne, Grenache Blanc, Malbec, Pinot Noir, and Nebbiolo. They have two lines of wine: The Wild Boar collection, which features grapes from around the world, and Stone Tower Estate which features estate grown wines. In March of this year, I tasted the Stone Tower Hogback Mountain Estate 2013. Now, before I give my review, I'll tell you that the wine recieved a score of 91 points from Wine Enthusiast in 2014. Carry Dykes wrote, "Woody notes of cedar and cigar box blend harmoniously with bright red currant and blackberry on the nose. Cigar box tones continue on to the palate, alongside flavors of black cherry, blackberry and Chinese five spice. The grippy tannins are well matched with crisp acidity and lush body, while the finish is long, dry and spicy." How's that for a review! So I was doubly thrilled when I got the opportunity to taste this wine! And boy was I ever thrilled to get my hands on it. Firstly, the wine is is a Bordeaux-styled blend, driven by estate grown Cabernet Sauvignon, and then backed with Cabernet Franc and Petite Verdot. The wine is aged in 80% new French oak. The attack on the nose and the tongue is led off by a parade of black fruits - dark cherry, blackberry, cassis, and prune. Wisps of lavender, blueberry and and licorice are instantly evoked. Mocha too. Dark cocoa and luxardo cherries are on the middle palate, with hints of spice and cedar. This was an absolutely amazing wine. I had heard about Stone Tower but I hadn't tasted any. But let me tell you - this wine was the real deal. Stone Tower is an amazing quality wine producer that must be tasted and revered! A big serious producer! Wow!